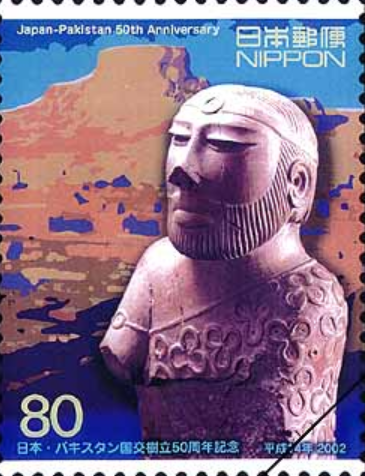 1973 cover celebrating 50 years since initial excavations at Moenjo-daro. Highlighted are the famous artifacts, including the soapstone figure known as the 'Priest-King' on cachet. On the stamp, to the right of the the 4,500 year old bronze 'Dancing Girl' statuette, is possibly a sewer structure. A little strange they chose to put what is likely a grave good visually next to this structure. Joint issue with with the same statuette as above cachet. 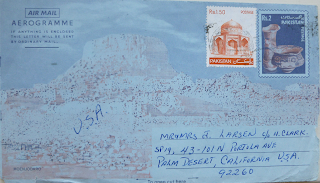 Issued: 2002. *Not in collection. Thank you Len! 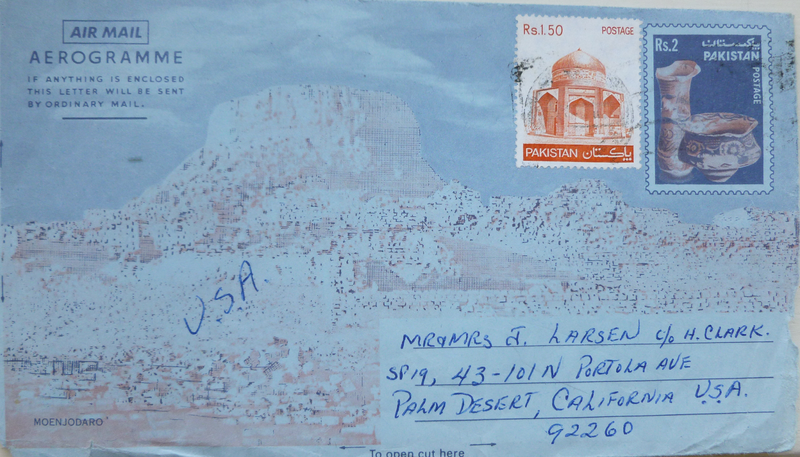 Uprated prestamped 1976 Mohenjo-daro aerogramme, up-rated and sent in 1985. Thank you Mirch! Artifacts from Moenjo-daro on right, and at left, ceramics from Ukraine's Cucuteni-Trypillian Culture. Issued: December 25 2014.